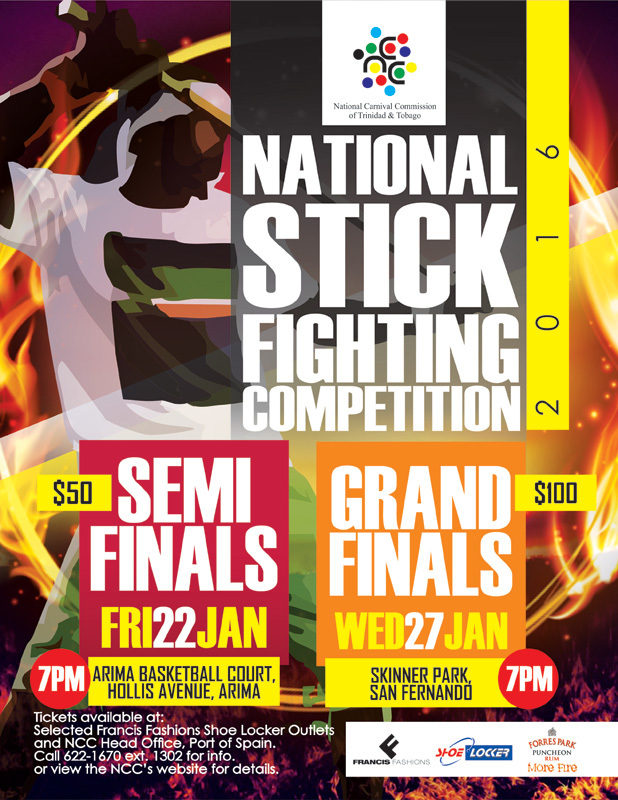 The National Stickfight Competition got off to a great start on Friday night in St. Mary’s Moruga. Four gayelles have made it to the semi-finals : Longdenville, Valiant Brothers, Grand Couva and St Mary’s. The semi-final round of this year’s competition will take place at Arima Basketball Court on Friday January 22 with an admission fee of $50. The gayelle is the space where the battle between two stick fighters takes place. The fighter who draws first blood is declared the victor. Music is an important part of the stick fighting experience. The chantwell leads the call and response lavway. Every village has its own chantwell who sings the praises of their champion stick fighter or knows the right song that will bring out the fighter’s warrior spirit. The chantwell is the ‘forefather’ of the calypsonian. The dance of the stick fighter is caller ‘carray’. Trinidad and Tobago has two forms of stick fighting: kalenda – which can be traced back to West and Central African martial traditions from Guinea, Angola, Congo and Nigeria and gatka a North Indian tradition of sword and stick fighting that is usually performed during Hosay.